Enamelled gilt badge, surmounted by a crown with the Red Cross emblem and the Maltese Cross of the Order of St John in two oval shields at its centre. 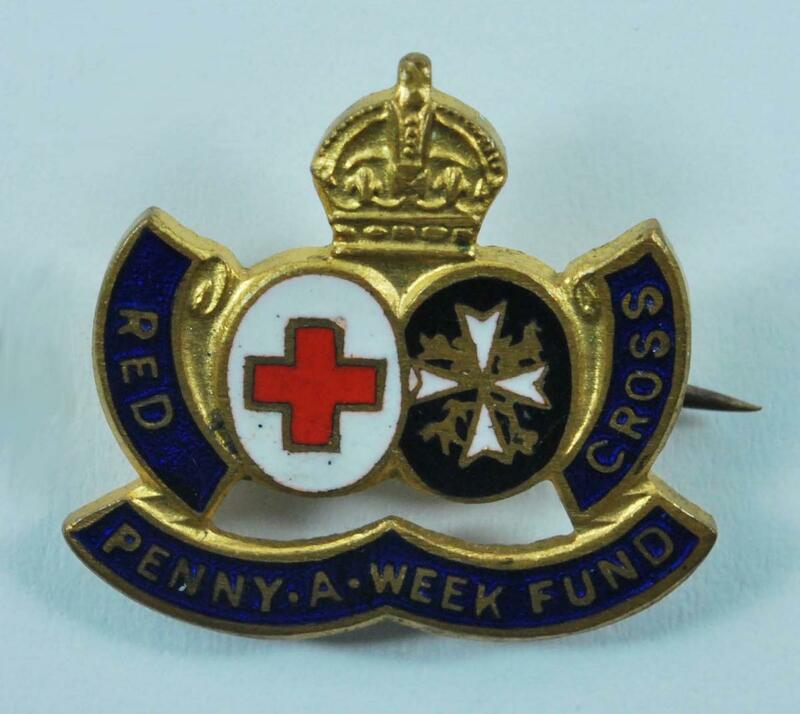 Words 'Red Cross' and 'Penny-a-Week Fund' written on scroll running along the sides and base of the badge. This badge was worn by collectors for the Penny-a-Week fund, which was part of the Duke of Gloucester's Red Cross and St John Appeal during the Second World War.